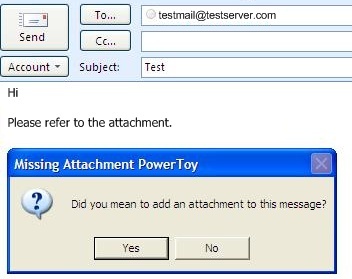 Did you forget forget attaching the file(s) before sending the mail in Microsoft Office Outlook 2007, It happens.No worries, “Missing Attachment Powertoy” is a free powertoy for Microsoft Office Outlook 2007 that will remind a Outlook user of potential missing attachment by scanning the message for words which you typically use when including attachments before the mail is sent and alerts to attach a file before sending it. 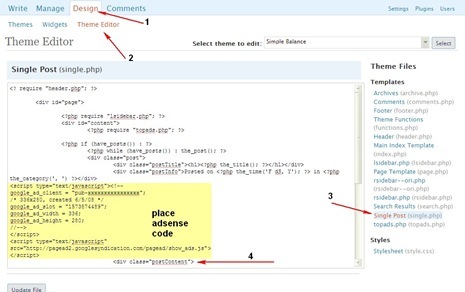 You can also configure the keywords to scan for before sending the mail, and alert if no attachment is found. This powertoy only works on Microsoft Office Outlook 2007.You also need to provide your name and email id to receive your Download Link. Download – Missing Attachment Powertoy for Microsoft Office Outlook 2007.